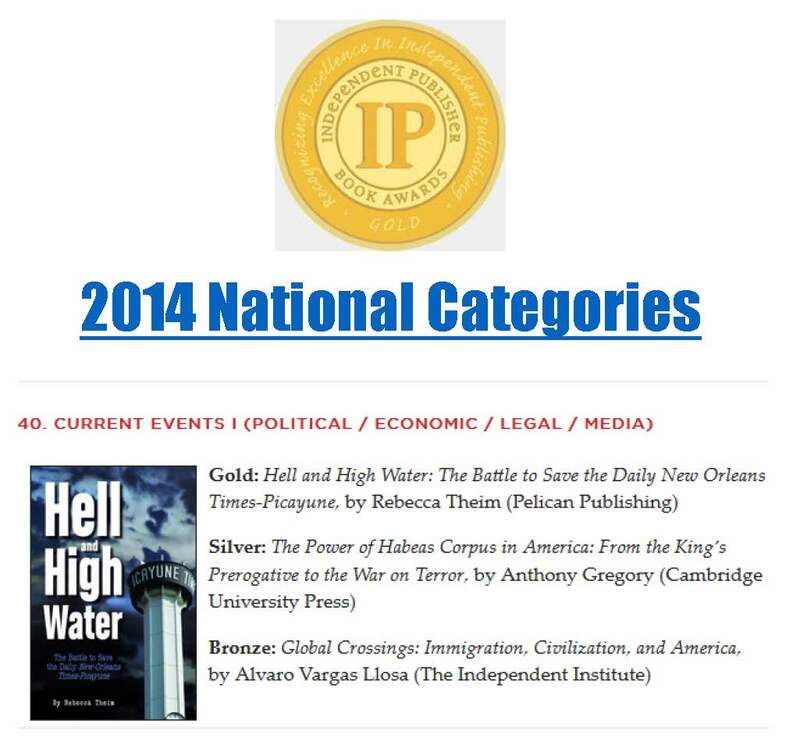 Hell and High Water has won the Gold Medal in the Current Events I category (Political/Economic/Legal/Media) of the 2014 Independent Publishers’ Book Awards, better known at the IPPYs. The awards ceremony is May 28 in New York. Buy it via leading New Orleans indie bookstore Octavia Books, on Amazon, or directly from me. This entry was posted in Uncategorized by dashTHIRTYdash. Bookmark the permalink.